The National Enquirer is reporting that Cynthia Bailey's mysterious medical illness has finally been revealed. Although Cynthia and her cast mates have had zipped lips in regards to the illness due to their contractual obligations with Bravo, the National Enquirer spilled the tea so if you aren't ready for a spoiler then leave now! 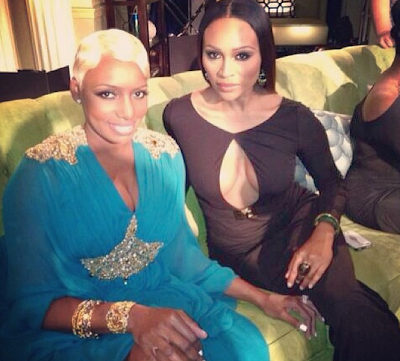 Cynthia's belly has gotten increasingly bigger to the point that many people assumed the Real Housewives of Atlanta star was pregnant. That is not the case at all as the National Inquirer is revealing that Cynthia is suffering from uterine fibroid tumors. Cynthia has allowed the cameras to film her medical crisis and the Bravo TV film crew will also be present as she goes through surgery. Will you be watching? Best of luck to Mrs. Bailey!